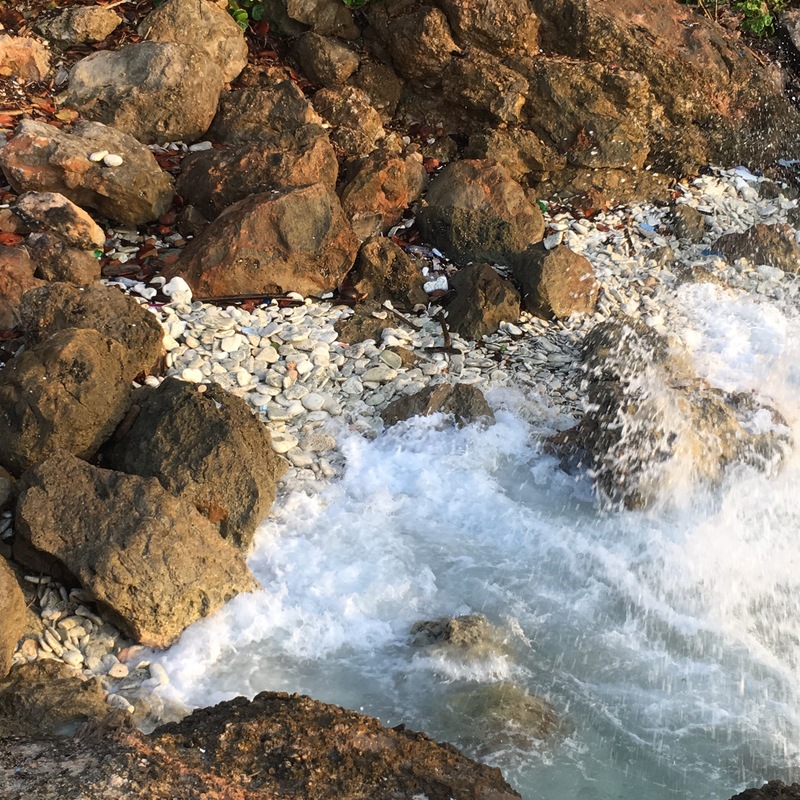 This is a photo of the “beach” at Galina Breeze in Jamaica. I was trying to capture the spray from the waves breaking on the rocks and this my best effort. One of the things I have observed from trying to take a picture of waves breaking is that it is really hard to predict when a wave is going produce a spectacular spray. I think it can be that way with God. Sometimes, you think you are about to see God working in a powerful way and … nothing. Then, when you least expect it, God does something amazing. Great photo and cometary Tom. Makes me appreciate that our consciousness requires no batteries and is constantly recording the future memories of God’s grace.